The thought of disposing IT assets may sound stressful and expensive but contrary to popular belief, it isn’t. In fact, there are IT asset disposal best practices that save your organization a lot of money. Find out how you can implement these practices to start saving money. Did you know that due to lack of proper IT asset disposition, the U.S throws away $60 million worth of gold, silver and other precious metals annually? 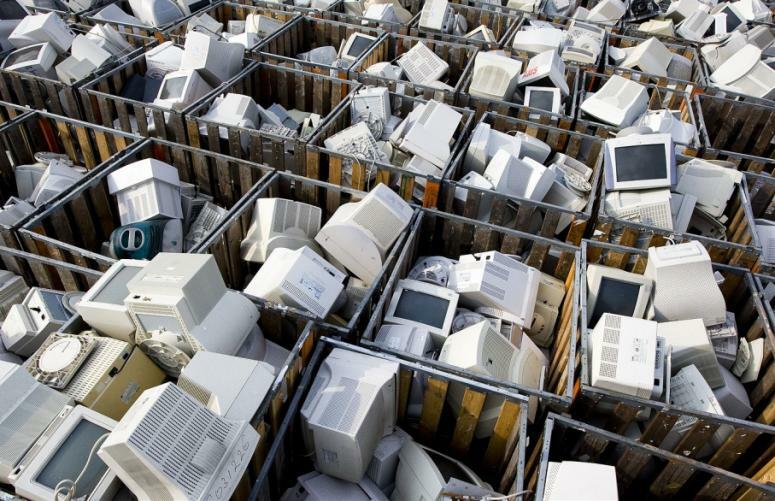 Parts from old computers contain precious metals that can be recycled but are often discarded. Investing in proper IT asset disposal best practices can help businesses save a lot of money. So if you’re ready to start saving some serious money, keep reading to learn which IT asset disposal best practices will help you achieve this goal. One of the most important IT asset disposal best practices is the secure destruction of data. In 2017 alone, companies in the United States spent up to $60.4 billion on cybersecurity just to protect data. However, unwiped-data from disposed IT assets is one type of data breach that gets overlooked. When a person deletes data from an electronic device, it doesn’t leave the hard drive and can still be accessed. However, secure data destruction using specialized software and hard drive shredding can be done by experts in the IT Asset Disposition (ITAD) industry. Poor data disposal can lead to loss of money through fines, lawsuits and customer distrust. In 2015, TalkTalk had a breach in which the personal information of 157,000 customers was stolen. The perpetrators also stole more than 15,000 bank account details and the company was fined $580,000. Nobody wants a situation where strangers can easily access their data for identity theft and other illegal activities. If there’s one thing that can totally devastate a company, it’s a breach of private data. It would be disastrous for a data leak to occur due to carelessness after spending so much on cybersecurity. Paying attention to IT asset disposition will save your organization a lot of money in the long-run. Electronic waste is one of the fastest growing streams of waste in the United States. According to the EPA, E-waste production grew from 680,000 metric tons to over 2,500,000 metric tons in just 20 years. To combat this, the government imposed taxes. This means the more e-waste you dispose in landfills, the more taxes you will have to pay. In the long run, the government will charge your organization a lot more for waste disposal. What’s more, several states in the U.S have enacted laws that make it illegal to dispose e-waste in landfills. This means that the government will fine organizations huge amounts for breaking those laws. Recycling, thus, will save you a lot of money in fines! It will also help your organization build an eco-friendly reputation, which can only help your brand. Clearly, instead of throwing such assets away, you should call a certified electronics recycling company to recycle them! Asset remarketing involves refurbishing and selling old assets to other organizations that may need them. According to the USITC, the U.S market for used electronic products was worth $19.2 billion in 2011 and continues to grow. Capitalizing on this can be profitable for your organization. You can remarket IT assets like computers according to their age and current working conditions. If they still work, then you can sell them through an IT asset disposition company that will fetch the best price for them. Remarketing is one of the most significant IT asset disposal best practices because it reduces e-waste output. However, if not done properly, you risk letting your old data fall into the wrong hands. This is why you must hire a certified ITAD company like All Green Recycling. All the IT asset disposal best practices discussed all come under hiring certified IT disposition companies. The ITAD industry is estimated to have an annual growth rate of 7.1% between 2016 and 2026. This means that more companies offering IT asset disposal services will be available to meet the needs of organizations. However, the onus lies on businesses to seek out the most reliable firms to hire. All Green Recycling has a wealth of experience in IT asset disposition services including, but not limited to, electronic waste recycling and secure data destruction. To make disposition more convenient for clients, we have more than 100 free drop-off locations spanning across every state. All Green Recycling can also arrange pick-up as well as on-site data destruction. Have you recently used any of these IT asset disposition best practices? Let us know in the comment section and we will respond. Don’t forget to share this to promote environmental safety.